The biggest sport memorabilia auction in history has had us gripped over the last few days. Pele, arguably the greatest footballer in history, is selling a huge swathe of his collection of memorabilia from his football career. The auction offers over 6000 items of Pele ‘history’ to be won. Pele has explained why he is selling them. He wants fans and collectors to own a piece of his history. He is also giving a portion of the money to Brazil’s largest paediatric hospital. Presumably he is also keeping some income from the sale for himself – that is allowed! 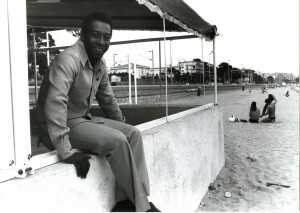 We think we can safely say that Pele has ‘paid his dues’ in footballing history. Pele is the only footballer in history to have won the World Cup 3 times. One of the items in the auction is a one-off replica of the World Cup Jules Rimet Trophy. It was made especially for Pele and presented to him after Brazil’s World Cup triumph in 1970. The trophy was estimated to sell for £200,000. It has gone for £395,000. Boots that Pele wore in the film, ‘Escape to Victory’ have been sold for over £8,000! Pele scored over 1000 goals in 1363 matches and appeared 91 times for Brazil. On sale too was the ball with which he scored his 1000th goal. Some more surprising items were in the sale too. A riding crop, embroidered with Pele’s full name, was snapped up. A gourd rattle, presumed from an indigenous Amazonian tribe, was on offer too. Closer to home was a clear globe paperweight. The paperweight contains a tuft of original turf grass from the pitch at Wembley! It was presented to Pele in 2002 at the Final Ball event just before Wembley Stadium was demolished to be rebuilt. The globe’s inscription includes, ‘A little piece of Wembley to take home’. We confess that we have dabbled in this historic sport memorabilia auction too. 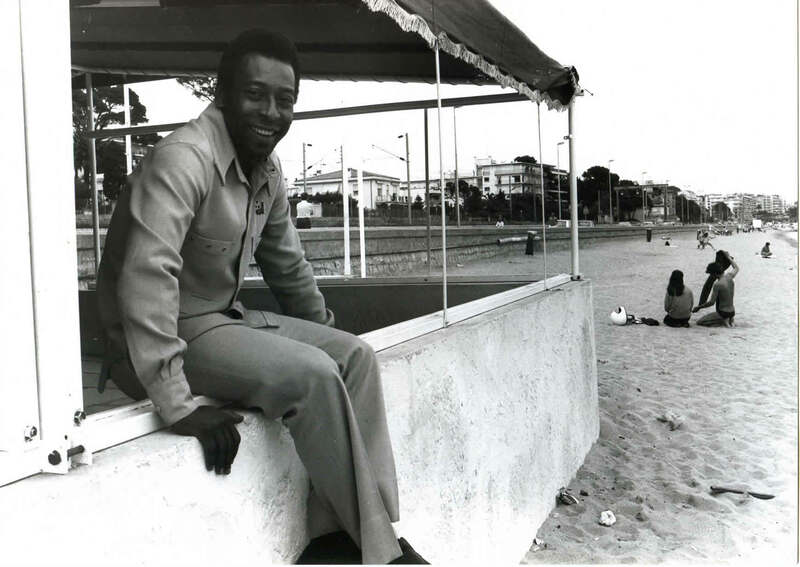 Look out on the website for a few fantastic Pele items appearing in the coming months. We snapped up some great bits of Pele history. Sadly, that doesn’t include the replica Jules Rimet Trophy! 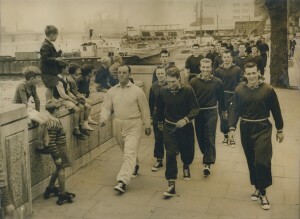 Enjoy a great image of 1957 Chelsea football players being led on a training walk by their then coach, Arthur Tennant. We love this press photograph – a fantastic time capsule and snapshot of a Chelsea football team, who probably felt reasonably confident that they were on the up and up by that point. They had enjoyed their first major trophy success a couple of years earlier by winning the League Title in 1955. In 1957 they were preparing to debut at their first European competition: the 1957-58 Inter-Cities Fair Cup. Chelsea had in fact been invited to their first European competition two years earlier in 1955. The French football magazine, L’Equipe, had invited them to take part in the inaugural 1955 UEFA European Cup. The Football League blocked Chelsea’s participation, however. They felt the tournament would be a distraction to domestic football! The young and ambitious Ted Drake had been managing Chelsea since 1952 and by 1957 he had remodelled Chelsea football club and its players significantly. Drake had brought in successful, new signings and improved the youth set up. He changed the club’s image fundamentally too – gone was the old ‘Pensioners’ crest. In came the rebranded ‘Blues’. Perhaps this press photograph is part of that rebranding? A jaunty shot of the ‘Blues’ on a training walk in their training kit and very cool, uniform trainers! It’s fascinating to see how freely the players were able to walk through central London with little sense of being mobbed by the public. It’s also amazing to see the children watching the players as they pass by – what child would be able to stand atop the embankment wall with his/her back to the Thames now? !